Visiting galleries and museums are very motivating, but I often find the most inspiration during none art-related adventures. 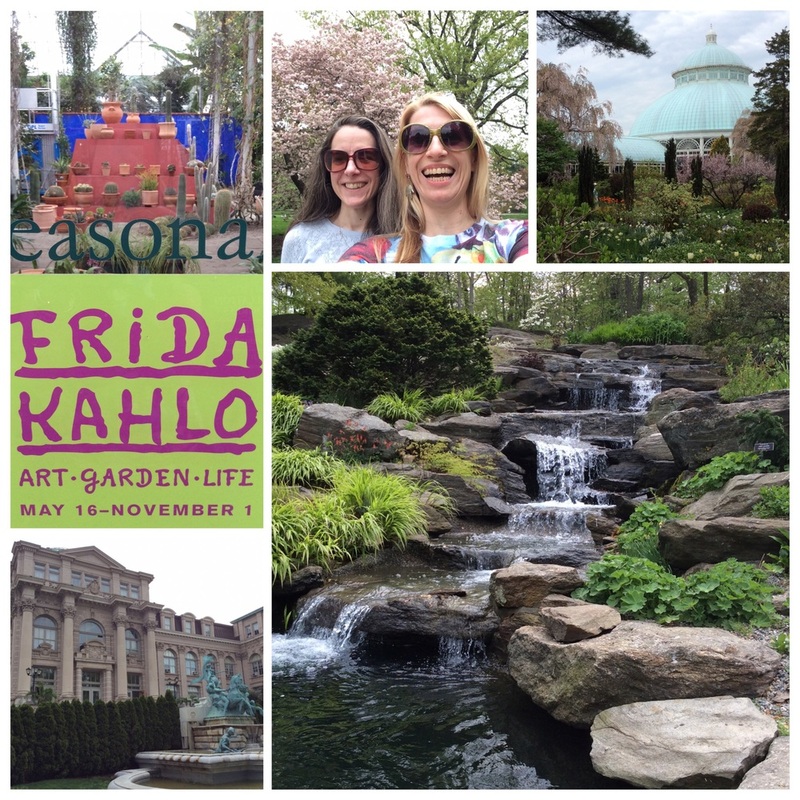 Thankfully for me, the Bronx Zoo and the Bronx Botanical Gardens are located next to each other, so I was able to cram both adventures into one day! The day started at the Bronx Botanical Gardens with their lovely conservatory and adorable rock garden. There was plenty to see, but bummer for me the Frida Kahlo inspired show, where they will recreate her garden and have paintings on display, doesn't open until next week. I was able to sneak a peek and I got to experience one element of the exhibit, the amazing Echium plant. The zoo had the most adorable baby gorillas, a carousel with bugs instead of horses, and my new favorite bird, the Capuchinbird. This beautiful bird with coppery plumage almost appears to have an exposed skull, and I adore it! This little guy and I flirted for at least a half hour! My luck with the weather seems to have run out. My last day in NYC is starting grey and rainy, but that won't dampen this Project Runway fangirl's mood, since I am starting out at Mood Fabrics!